Belgians Jean-Pierre and Luc Dardenne are among a handful of directors – including Francis Ford Coppola, Emir Kusturica and Shohei Imamura – to have twice won the festival’s top prize, the Palme d’Or. 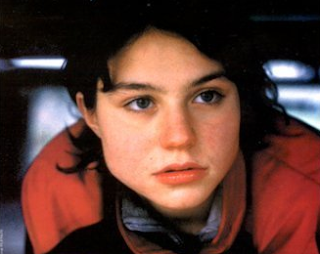 Following Rosetta (1999) and L’enfant (The Child, 2005), it could have been third time lucky this year but The Kid with a Bike received Cannes’ second prize, the Grand Prix. Danish provocateur Lars von Trier was banned this year following an ill-advised Nazi rant, but he has won the festival’s top three prizes: the Palme d’Or for Dancer in the Dark (2000), the Grand Prix for Breaking the Waves (1996) and the jury prize for Europa back in 1991. Both directors serve their actors well, too: Émilie Dequenne and Olivier Gourmet have been rewarded for their roles in the Dardenne brothers’ Rosetta (pictured) and Le fils (The son, 2002), respectively, while Björk (Dancer…), Charlotte Gainsbourg (Antichrist, 2009) and Kirsten Dunst (Melancholia, this year) have scooped the best actress award for their roles in von Trier movies. Another director who serves his women stars well is Pedro Almodóvar, also back this year with The Skin I Live In, starring Antonio Banderas and Elena Anaya. Almodóvar's female ensemble for Volver, including Penélope Cruz and Carmen Maura, won the best actress award in 2006. But the festival’s biggest winners came in 1955 when the entire cast of Russian drama Bolshoya Semya (A Big Family) shared the - male and female - best acting prizes.